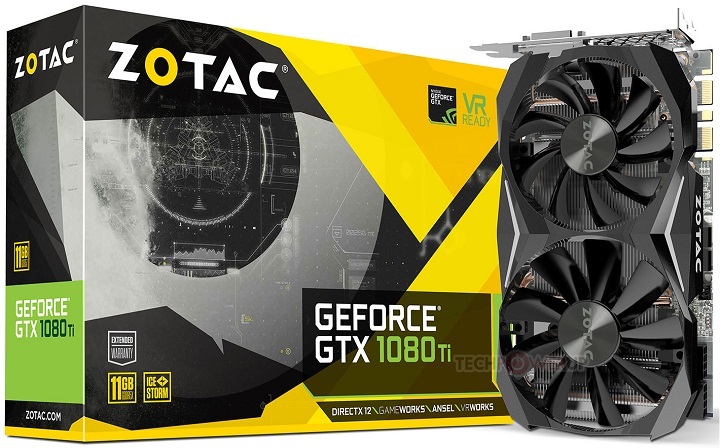 Zotac announced the launch of the smallest GeForce GTX 1080 Ti in the market, the Zotac GeForce GTX 1080 Ti Mini, as it mounts a trimmed PCB along with a compact cooling system that allows you to squeeze the graphics processor to the maximum in 211 mm in length. For cooling Zotac used a dense aluminum radiator traversed by no less than five 6mm thick copper heatpipes attached to a copper base with direct contact with the GPU where a 90mm dual fan configuration extracts the generated heat. 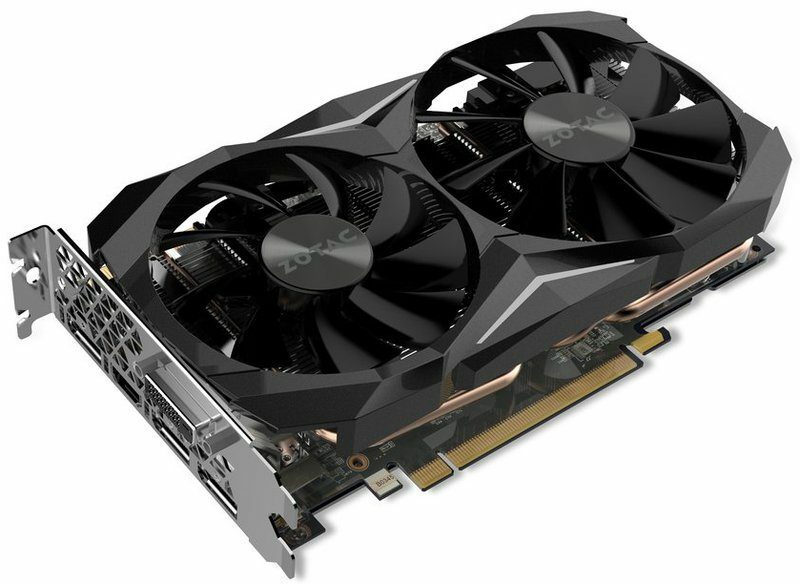 The Zotac GeForce GTX 1080 Ti Mini is equipped with GP102 GPU core, conformed by 3584 CUDA Cores, achieves a slightly Overclocked factory frequencies of 1506/1620 MHz (vs 1480/1582 MHz in reference model), frequencies that buyers will be able to increase yet more thanks to the backing of two 8 + 8 pin PCI-Express connectors. The 11 GB of GDDR5X memory is maintained at a reference frequency of 11 GHz coupled to a 352-bit memory interface, and an aluminum backplate is used to mainly reinforce the PCB, and it will also slightly influence the temperature of the graphics card. ZOTAC has not spilled the beans on price yet, or even when it will be in the shops.